Dustin is originally from Central Illinois and relocated to the beautiful Lake of the Ozarks in 2014 with his wife, Haleigh. She is a Speech-Language Pathologist for the Camdenton School District. Dustin recently obtained his real estate license and continues to work as an Insurance & Financial Representative with COUNTRY Financial. Dustin and Haleigh have an energetic golden retriever named Stella that loves the lake life as much as they do! 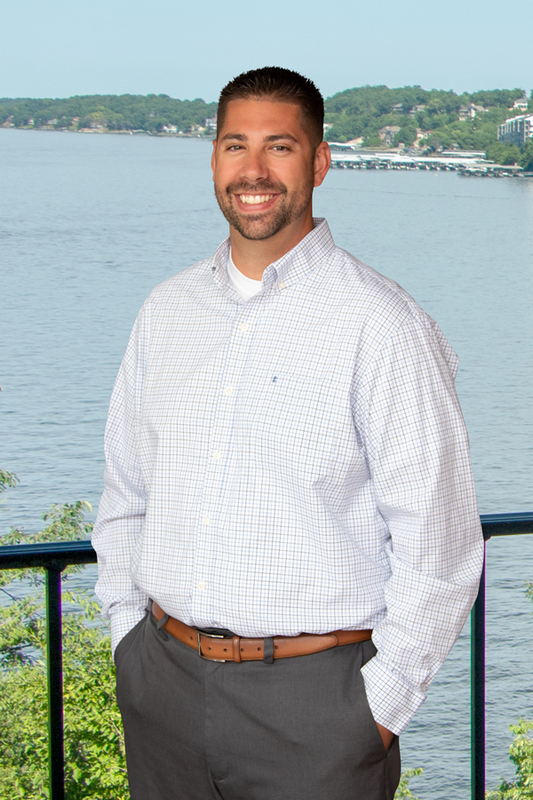 Chances are you’ve seen Dustin around the Lake area as he keeps busy in the lake community and serves as the current President of the Young Professionals at the Lake-an extension of the Lake Area Chamber of Commerce. He also serves as President-Elect for the Lake Ozark Rotary Noon Club. Both Dustin and his wife enjoy being a part of the Lake of the Ozarks Idiots Club, which helps kids in a variety of ways around the lake area. He’s met many great people and made lifelong friendships by staying involved in the Lake of the Ozarks community. Outside of work and helping out in the community, Dustin enjoys playing golf, boating, and spending time with friends, neighbors, and family that regularly visits. Dustin truly believes that he lives in one of the best places in the country and he look forward to beginning a real estate career that will allow him to promote and share our slice of heaven with those that choose to make the lake their weekend retreat, full time oasis, or desire to retire here!